IoT is gaining strides in utility applications. More recently, it’s found an innovative use in agriculture, as farmers work to more precisely gauge irrigation needs and conserve water resources. Smarter irrigation is essential because farming uses 80 percent of the nation’s water (even more in many Western states) and is also responsible for the majority of its waste, according to the US Department of Agriculture. 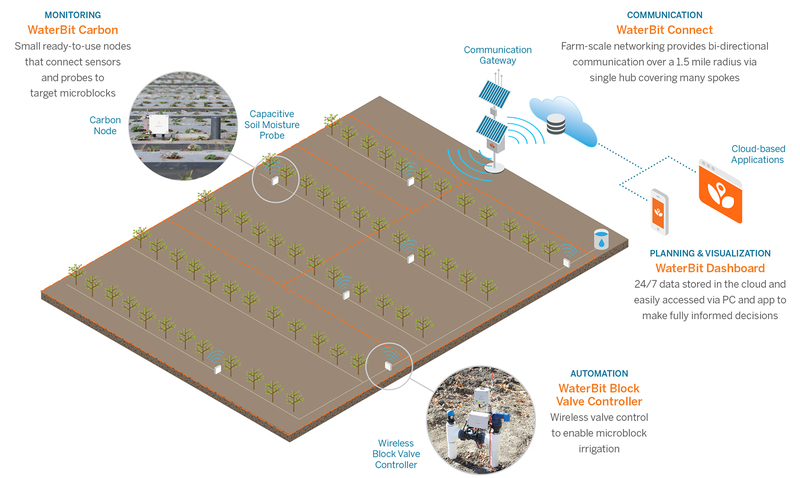 Bowles Farming, located in the Central Valley of California, is illustrative of how IoT is helping farmers do a much more efficient, and smart, job of delivering water at the right time, which is critical to the success of a crop. Bowles’ crops, which include cotton and processing tomatoes, are drip irrigated from a canal system. Solar-powered sensors enable the company to set water delivery according to each crop’s needs, and by the variability of the fields themselves; this will effectively create a ‘live canal’. Set right in the field, the sensors collect data and let Bowles Farming see - in real time - when water levels have been achieved. Rather than over-watering, which wastes resources, and increases irrigation expense, the sensors give farmers a level of data intelligence and precision that simply didn’t exist before. In areas where land is relatively consistent, farmers can make use of fewer sensors, as few as one sensor per 100-acre-block. Terrain with more variation may need a sensor for every 3-acre-block. By creating “microblock” target areas, farmers can easily assess soil conditions and water needs based on live data. The system uses a hub-and-spoke model; one gateway acts as the hub and, each carbon node acts as a spoke. The nodes feed into a single gateway that can cover more than 1000 acres. Data is stored in the cloud, easily accessed anytime by PC or mobile device. Using remote sensors also conserves labor hours. Instead of sending a team of irrigators to go around turning valves on and off in the field, a wireless autonomous valve control lets farmers operate the valves remotely. For almond growers with water-related issues like yield variability within blocks and the goal of optimizing the life of the tree, the technology prevents over or under watering. This allows every microblock within an orchard, to produce at its peak. It also means that trees stay healthier for a longer, and more valuable production life. Recently, almond growers have faced scrutiny about water use. 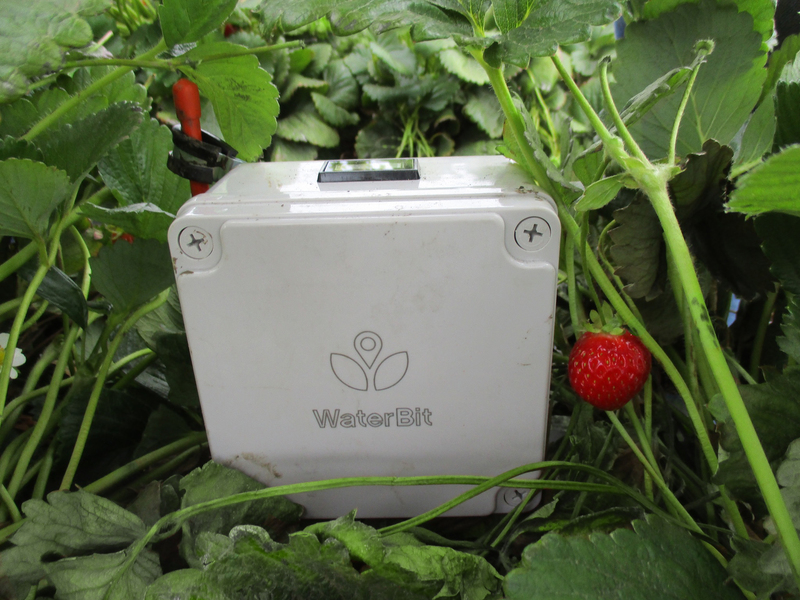 Smart irrigation allows them to keep precise records of their sustainable water use, while monitoring for leaks 24/7. IoT is helping farmers work more efficiently, produce better crop yields, and save water. Using technology like soil moisture probes, farmers can now identify areas that are waterlogged or overly dry, either of which could impair yield. IoT-powered smart irrigation eliminates extremes, preserving balance by turning on the right valves, in the right microblocks, for the right amounts of time. IoT means farms will have healthier crops, minimal water waste, increased production, and bigger profits. T.J. Rodgers is chairman of the board of WaterBit, a company developing farming applications using IoT technology. Prior to WaterBit, T.J. co-founded Cypress Semiconductor in December 1982 and served as Cypress’s CEO for 34 years until stepping down in August 2016. He is the former chairman of the Semiconductor Industry Association and of SunPower Corporation.